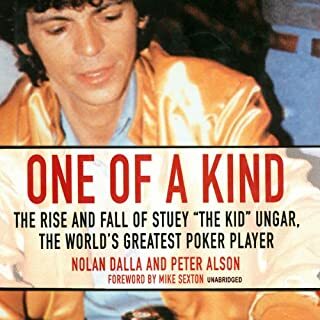 Stuey Ungar dropped out of high school to become an underground card-table sensation, eventually taking out every top gin-rummy player on the east coast. Bankrolled by the Genovese crime family, Ungar went on to win the World Series of Poker a record three times. Then his luck began to run out. The astonishing story of Benny Binion - a rip-roaring saga of murder, money, and the making of Las Vegas. Benny Binion was many things: a cowboy, a pioneering casino owner, a gangster, a killer, and founder of the hugely successful World Series of Poker. 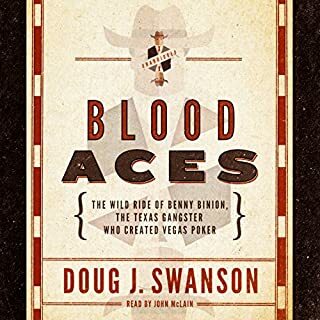 Blood Aces tells the story of Binion's crucial role in shaping modern Las Vegas. From a Texas backwater, Binion rose to prominence on a combination of vision, determination, and brutal expediency. Former Sports Illustrated editor Kevin Cook's account of extraordinary legend Titanic Thompson is both beautiful and exhaustive. Cook's effusive writing is well-matched by Joe Barrett's easy narration. Barrett's smooth, confident voice is particularly suited to this story about an infamous road gambler from times long past. Cook follows Alvin Thomas from modest Arkansas beginnings to his emergence as “Ti” Titanic Thompson, the most respected hustler in America. 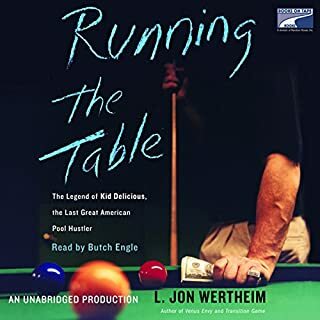 Along the way, we're treated to a plethora of fantastic stories, including various outlandish wagers on the usual cards, dice, horses, horseshoes, baseball, and golf, as well as the not-so-usual rock retrieval and walnut tossing. We also learn the origin of Ti's enormous nickname, which involves a very long jump over a very wide pool table. The book, much like the man himself, is a clever hybrid of history and myth. With insanely precise vision and hand-eye coordination to match, there are times when Ti comes off as more of a mutant superhero than a man. Of course, these brief stints are always punctuated by the not-so-subtle reminders that, more than anything else, Ti was a clever conman with hundreds of tricks up his sleeve. Ti's life also touched those of many other legends of the time, including Nick “The Greek” Dandolos and Arnold “The Brain” Rothstein, the Jewish mafia kingpin responsible for fixing the 1919 World Series. Furthermore, Titanic served as the inspiration for Guys and Dolls lead Sky Masterson. These bits of history and trivia only add to his immense reputation. Capturing the spirit of a freewheeling era, this rollicking biography brings to life the gambler-hero who inspired Guys and Dolls. Born in a log cabin in the Ozarks, Alvin "Titanic" Thompson (1892-1974) traveled with his golf clubs, a .45 revolver, and a suitcase full of cash. He won and lost millions playing cards, dice, golf, pool, and dangerous games of his own invention. He killed five men and married five women, each one a teenager on her wedding day. He ruled New York's underground craps games in the 1920s and was Damon Runyon's model for slick-talking Sky Masterson. Dominating the links in the pre-PGA Tour years, Thompson may have been the greatest golfer of his time, teeing up with Ben Hogan, Sam Snead, Lee Trevino, and Ray Floyd. He also traded card tricks with Houdini, conned Al Capone, lost a million to Minnesota Fats, and then teamed up with Fats and won it all back. 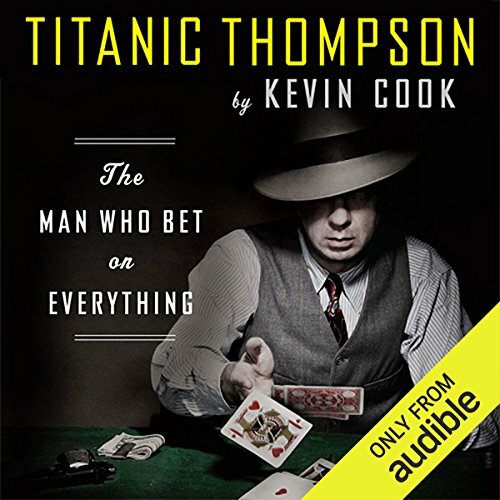 A terrific listen for anyone who has ever laid a bet, Titanic Thompson recaptures the colorful times of a singular figure: America's original road gambler. ©2010 Kevin Cook (P)2011 Audible, Inc. He was no Saint but this is a great story about a bye gone time in america. 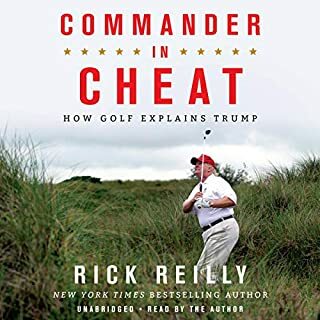 If you play cards, pool or golf this is a book for you. This book is very well written and tells an educational and wisdom filled story about one of the most unique men ever. Highly recommend to any intellectually curious readers who enjoy history, hustling, and hospitality (or lack there of). I've spent my life working in the gambling business. The anecdotes are total b s. Don't waste your time. It was like watching a mini series on television, couldn't wait for the next adventure. Titanic Thompson was a character that lived through the early 1900s in America playing (and betting on) pool, golf, cards, darts and pretty much anything else if he could be sure of winning. The book is a fascinating glimpse into a world from a bygone era. Familiar figures and places appearing throughout the pages offer contextual framing to ground the book which would otherwise read like a swashbuckling work of fiction. During his life, Titanic encounters mobsters, politicians and golf champions and somehow gets the best of them all. While Titanic Thompson is a great read on any level, it serves as a reminder to the power in determined and relentless practice. So many of us fail to master even one of the pass time sports that appear throughout this book. After reading about Titanic Thompson, I challenge you not to dust off your golf clubs break out the playing cards or buy a new set of darts. Highly recommended! Would you listen to Titanic Thompson again? Why? Yes and I have several times now as it is just a great listen, unbelievable character and person, not always legit, but a remarkable story of one mans fight against the odds. What other book might you compare Titanic Thompson to, and why? 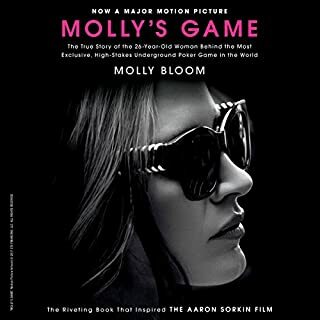 It is one of those books that you listen to and think that this would make a great film! I'm sure that at some stage you think hang on this is ridiculous, how can he have done that, especially the golf bets that he took on. 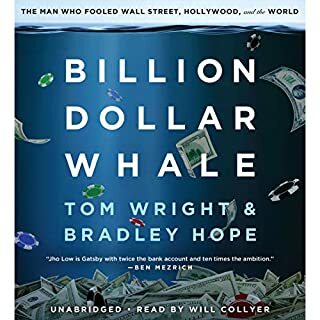 I really enjoyed the listen, great stories, massive bets, he was either very good at what he done or bonkers!